New York: Scribner, (2011), 2011. 1st Edition . Hardcover. Fine/Fine. 8vo. pp. vii, , 1-309, . Illustrated. Inscribed on the title page, "To Don, Best Wishes! 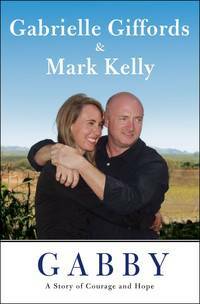 Mark Kelly". No other names or marks. Dust jacket protected in a new mylar sleeve, not price clipped. An excellent, very attractive copy of the first edition, first printing with the "1" in the number sequence.